With his grandfatherly white mustache, wire rim glasses, and 200 pounds on his stocky frame, Truman Smith looks like an average 70-year-old. But this Chattanooga, Tennessee resident happens to be an accomplished marathon runner, with 143 of them (and counting) under his belt. Smith has also run 26.2 miles in every state in the U.S. and on all seven continents, even Antarctica. (He just completed his most recent marathon last month.) He’s done the famous and revered Boston Marathon four times. He’s finished a 100-mile race too, and a half-Ironman triathlon. And he’s achieved all this after taking up running at the age of 38. That was when, in Smith's words, "I ballooned up to 240 pounds. Seeing that my next size for trousers was going to be waist size 40, I started a running program." 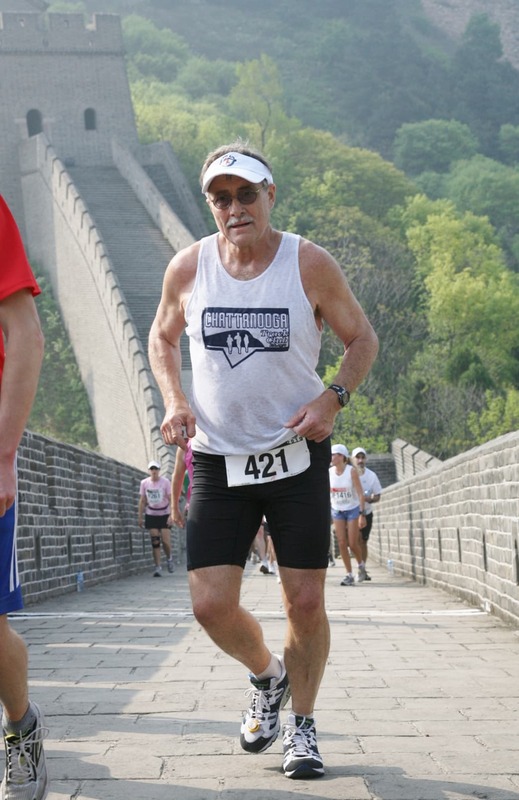 After tackling shorter races, he did his first full marathon in 1987, adding on seven more over the next five years. It was that same year when Smith began chasing his goal of running a marathon in all 50 states—a benchmark he eventually reached in 2009. By then, he had connected with another group of runners who were trying to achieve what Smith describes as "the near useless quest" of finishing a marathon on all seven continents. 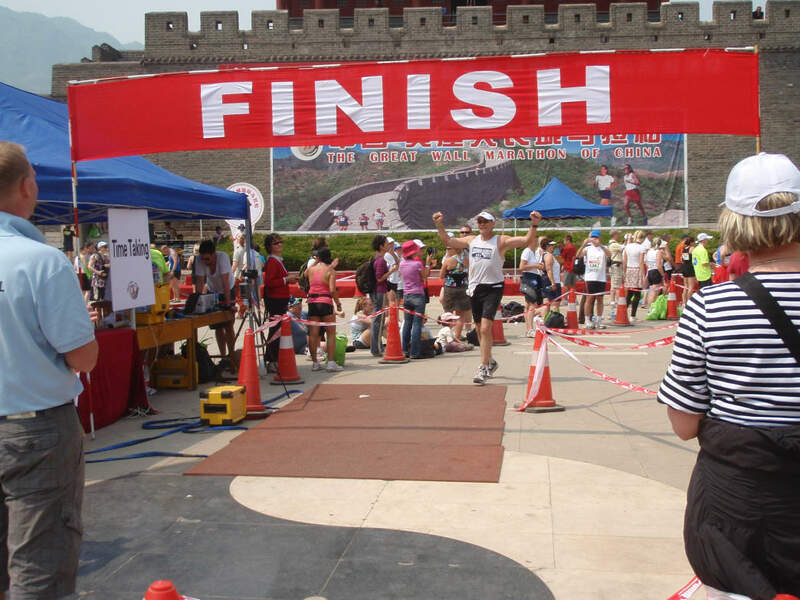 After running on the Great Wall of China, he completed his seventh and final marathon of the series on a frozen figure-eight course in Antarctica in March 2013. “I will credit the quest for providing me a reason to be in some mighty strange and unique places on this earth,” he says. So how does he do it? What are his keys to staying fit, avoiding injury, and dodging burnout? Cross-training. Smith goes on regular road bike rides with a local group, climbing up to the Cumberland Plateau. He completed a century ride (100 miles) in August of 2016, and he also hits the pool for regular swim workouts. Accept where you are in terms of your ability. Sadly, Smith says, he knows older runners who won’t come to races because they can’t deal with not being as fast as they once were. "People would love to see them out there, and to talk to them," he says wistfully. For him, it’s now all about the experience, finishing, and having fun—not having a time to beat. …except when you shouldn’t. "It always hurts to run long distances. Sometimes you just ignore what your body is trying to get you to do," Smith says. Part of the learning process, he explained, is knowing when soreness, tightness, or pain after a run or race is normal, and when it’s something more serious. Find a tribe. Smith meets up with a 6:30 am running group at the Chattanooga YMCA almost every Saturday, and says the best way for someone to begin running, or to sustain the activity, is to find a person or club to run with and to hold you accountable. He also loves mentoring beginning runners. "Just find a way to get into it, maybe by doing a 5K," he suggests. Set goals. "Gotta have ‘em," Smith says. After years of shooting for a specific finishing time—even into his 60s, his target finishing time for the marathon was four hours—Smith has shifted his goals as he’s aged. For instance, his sights are now set on completing 150 marathons—and he’s not ready to give up on knocking off 200 before he’s done. For now, there doesn’t seem to be anything standing in the way of his plans. By following his own winning formula (taking care of himself and setting reasonable goals) it’s a good bet that you’ll see Truman Smith out there running for many more years. Written by Patrick Dean for RootsRated in partnership with BCBS of Tennessee.